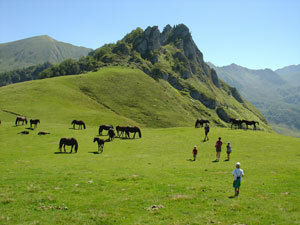 Horse riding is engrained in the traditions of this region and prehistoric paintings of animals resembling horses have been found in caves in the Ariège. The area even has its own breed of horse, the Mérens, an ancient breed of native black horses celebrated for their gentleness and sure-footed endurance. They are ideal mounts for treks into the hills and the many “fermes equestres” and riding centres across the region attest to the popularity of this leisurely mode of sightseeing. 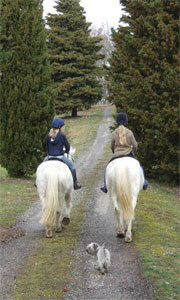 Most of these centres offer riding lessons as well as guided outings and trips lasting from a few hours to over a week.